Your property is so much more than just a house, it’s your home and normally your largest single asset. So when you want to capture the look of a traditional vertical sliding sash window, our PVC-U windows are the perfect solution. 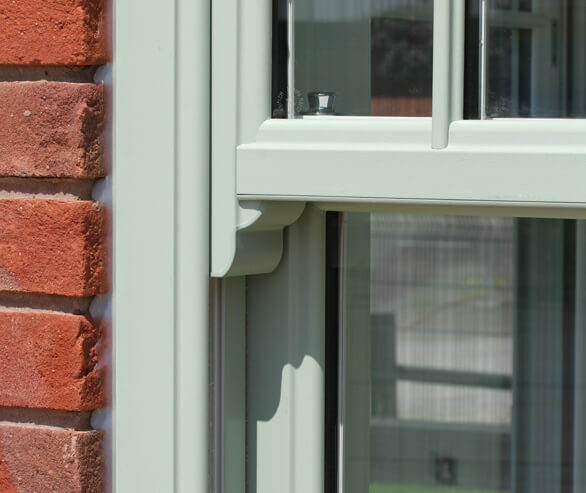 Manufactured to maintain the elegant proportions of traditional sash windows, whilst incorporating the very best of modern day technology, enables you to enjoy the low maintenance and high security of PVC-U without the problems associated with timber sash windows. 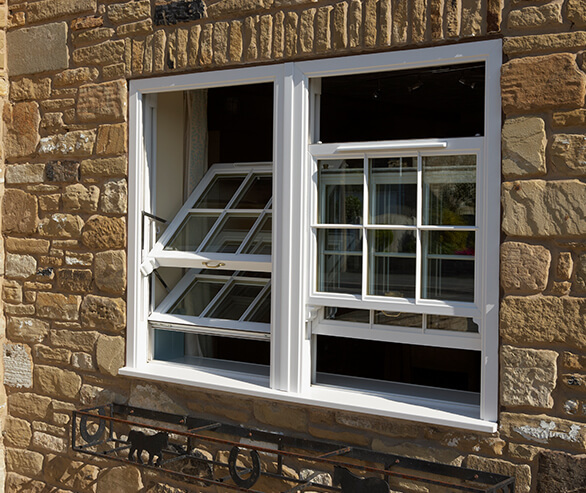 Your new windows are guaranteed for 5 years as they are 2 The finest vertical sliding sash windows With the benefits of modern day technology manufactured from the highest quality materials under the strictest quality controls. Many buildings have been disfigured by inappropriate window replacements that have ruined the character of the property. Our windows enable you to install new windows that blend into their surroundings – city or countryside, commercial or residential. 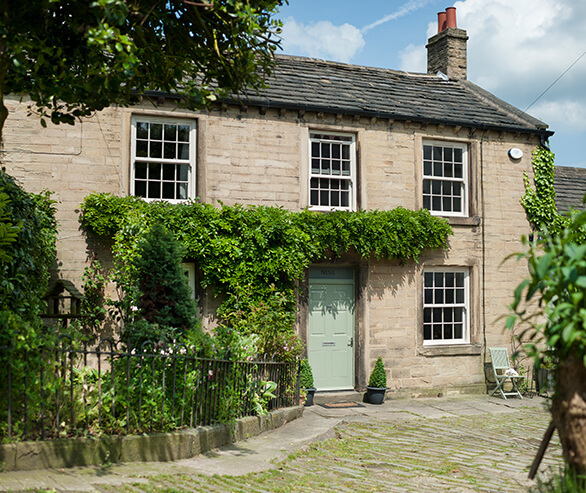 Our heritage vertical sliding sash windows are perfect for conservation or traditional projects, a classic look with modern advantages. Sculptured Georgian bars, sash horns, two sliding sashes and a choice of hardware, together with a selection of beautiful finishes, all add to the traditional feel of these beautiful windows. Choose from the classic White PVC-U, or a range of options including Golden Oak, Cherrywood, Irish Oak, Cream and White woodgrains, see page 10 for full options. Our vertical sliding sash windows have been designed with not only elegance and authenticity in mind, but security too. Vertical sliding sash windows are fully reinforced with galvanised steel. 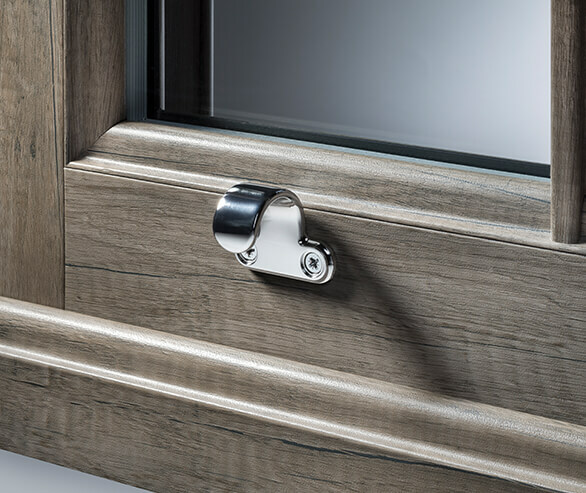 This is to not only to prevent deflection in windy weather, but also to strengthen the sashes so that they are capable of carrying the weight of the glass and provide a strong secure fixing for handles, latches and other components. The high quality balances maintain the equilibrium of the sash window at all points of travel and robust locking devices ensure the security of your home. Today window designers have more challenges. Not only do they need to design windows to keep out the wind and rain and let the sun in, but they also have to consider the environmental impact too. 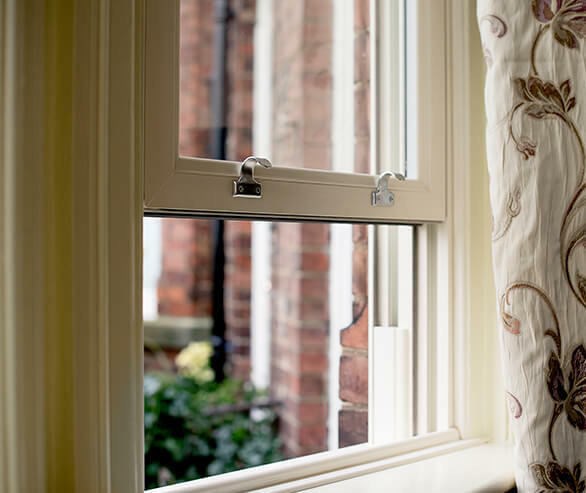 Our windows are not only lead-free, but also carry an A energy rating as standard, with Low-E double glazed units to keep the heat in, and help reduce your heating bills. The windows also have brush seals around the openings for exceptional draught proofing. Choosing PVC-U over timber is an environmentally friendly choice. 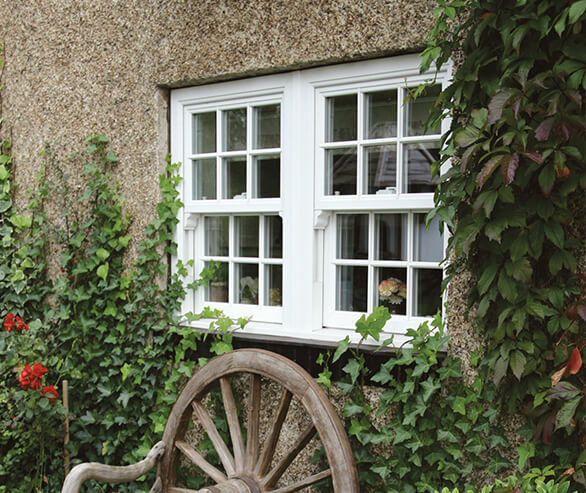 The majority of end of life PVC-U windows can be recycled over and over again to produce new windows.